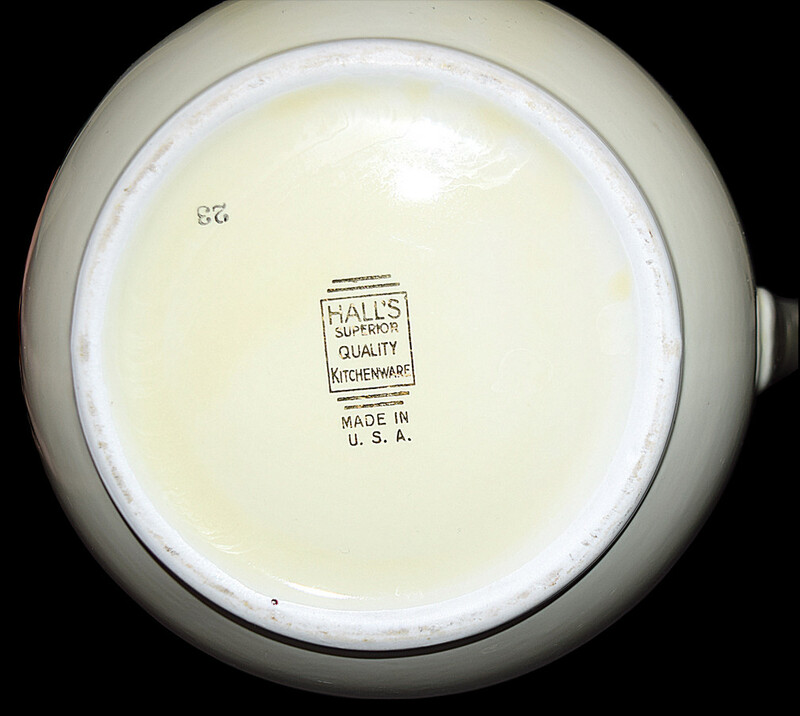 MEASUREMENT: 7 3/4" W. -8 1/2" H.
CONDITION: Undamaged Condition without chips, cracks, or mold damage. The lovely fired on decals have been applied nicely. They are in great shape (the way they left the factory). Please take the time to blow up the picture and look at the decals. The platinum trim does have slight wear, but it is minimal. The pictures really do show you what to expect. 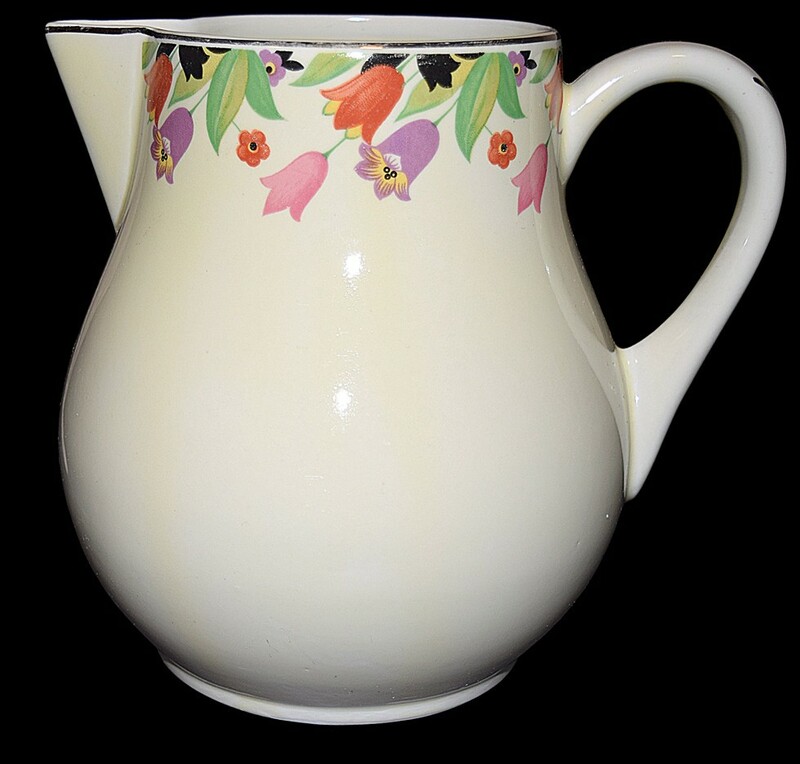 Description / About: This jug is extremely hard to find in good condition. 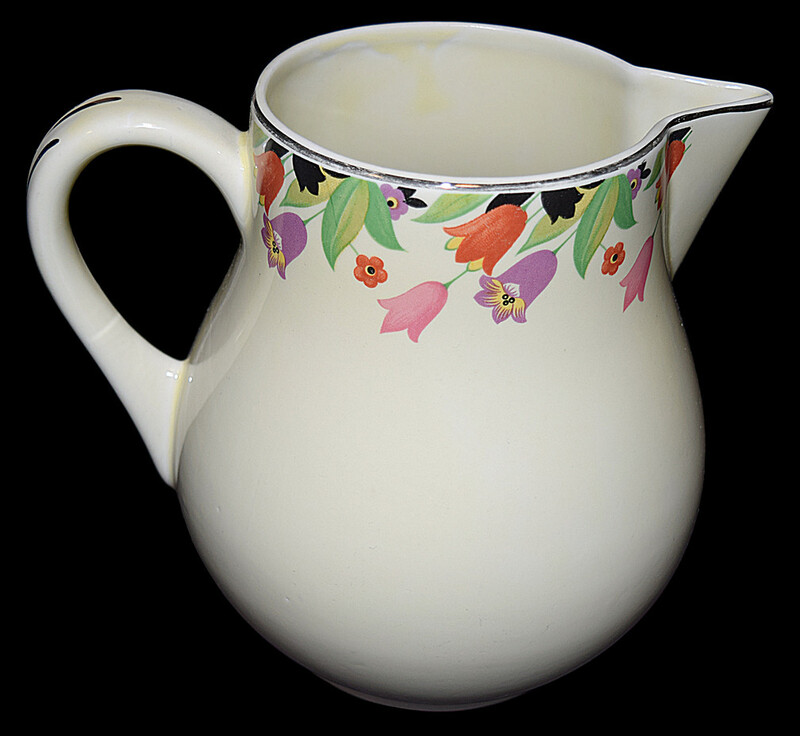 Crocus - Crocus was introduced as a dinnerware pattern in the mid-thirties. This pattern is one of the largest that Hall produced and completing a set can be time consuming as well as expensive. Fortunately, not everyone needs every coffee pot and teapot made in this pattern. As long as you are willing to use 9" dinner plates (there is also an elusive 10" size), you can put together a pretty set of this beautiful dinnerware pattern without totally breaking your budget. For those who want every piece of Crocus made you will have fun finding the hard to find and rare items that were produced in this pattern.